Qatar and the Trucial Coast The historic term used by the British to refer to the Gulf coast of Trucial Oman, now called United Arab Emirates. of the Persian Gulf Historically used by the British to refer to the sea area between the Arabian Peninsula and Iran. 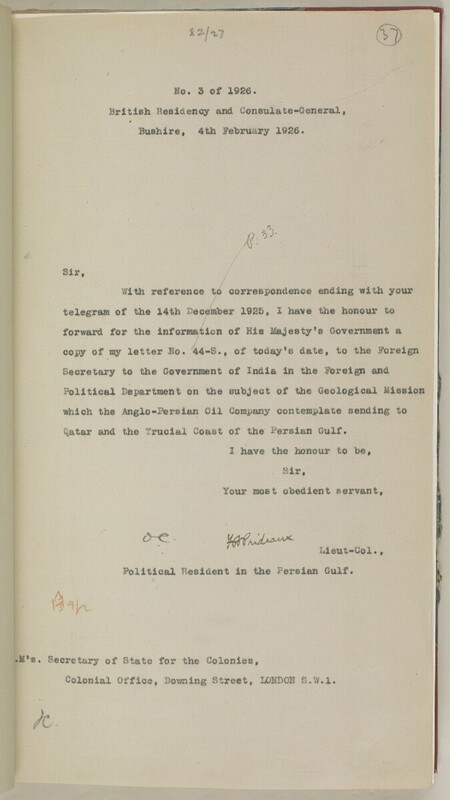 Often referred to as The Gulf or the Arabian Gulf. .
Colonial Office, Downing Street, LOKDOII B.W.I.